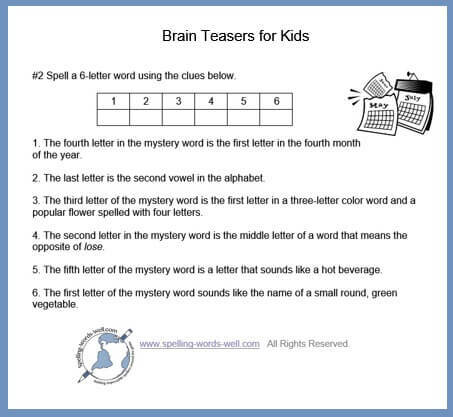 These brain teasers for kids require students to read each clue very carefully and understand its meaning. Kids also need to follow directions and do a bit of critical thinking. They'll need some spelling skills, too. What could be a better way to practice all these important language skills than using a brain teaser or two? Here are two fun Mystery Word puzzlers. Try to solve them here, or use the printable version of both puzzlers. Here's a second puzzle that uses the same format. How long will it take you or your students to correctly solve this one? 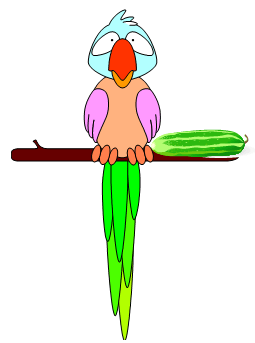 Multiple-meaning jokes and riddles - Light-hearted word fun! What a great way to practice language skills! Hilarious Homonyms - More word play riddles featuring words that sound the same but have different spellings and meanings. Great practice for students! 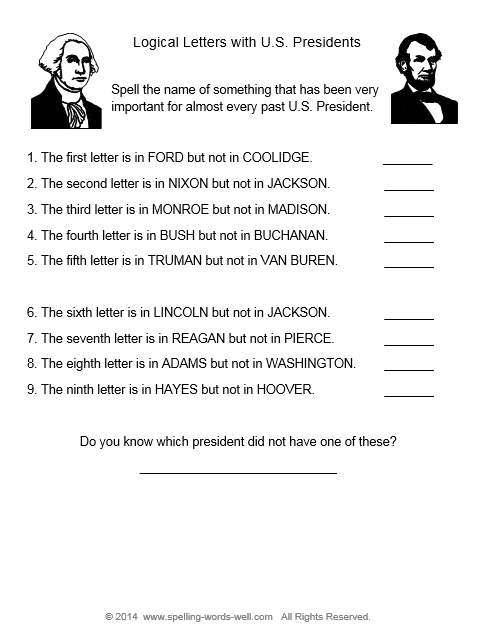 Magic Word Squares - 7 printable word brain teasers. 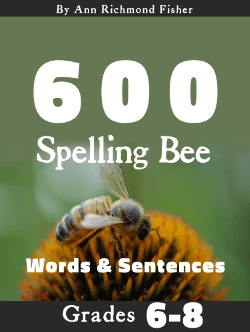 Kids will complete squares in which the same words are spelled in both directions. If you're looking for more challenging brain teasers, check out our Level 2 pages. Part of the key in successfully using brain teasers with any child is to choose puzzles that are at a suitable level of difficulty. 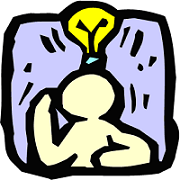 When students are given teasers in the classroom that are too easy, they quickly solve them and then become bored. 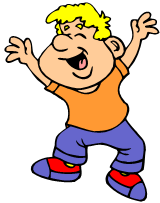 On the other hand, when students are presented with brain teasers that are much too difficult, they become frustrated and give up. With that in mind, always carefully read and solve any brain teasers first before assigning them to your students. 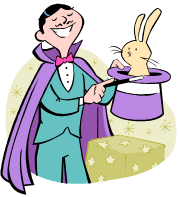 If you think a particular puzzler is just a wee bit too hard, consider assigning students to work in pairs. If you're a parent, sit with your child as he begins to solve a puzzle. If he gets "stuck," allow him to think about things on his first, then offer small hints along the way. 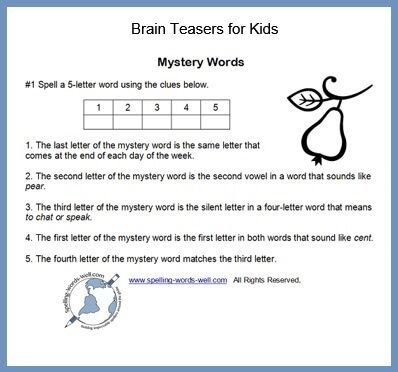 Here are links to some of our most difficult brain teasers: Brain Teasers for Adults & Upper Grade Students - Two REALLY difficult letters with hidden messages. Good spelling skills are the key to uncovering them! An Impossible Brain Teaser? - Sure, the directions are tricky, but adults and upper grade students can solve this the first time, right? 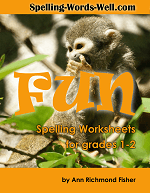 Throughout our site, you'll find lots of fun spelling resources. 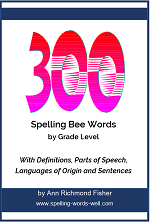 So while you're here, be sure to try some of our spelling word games and spelling worksheets!